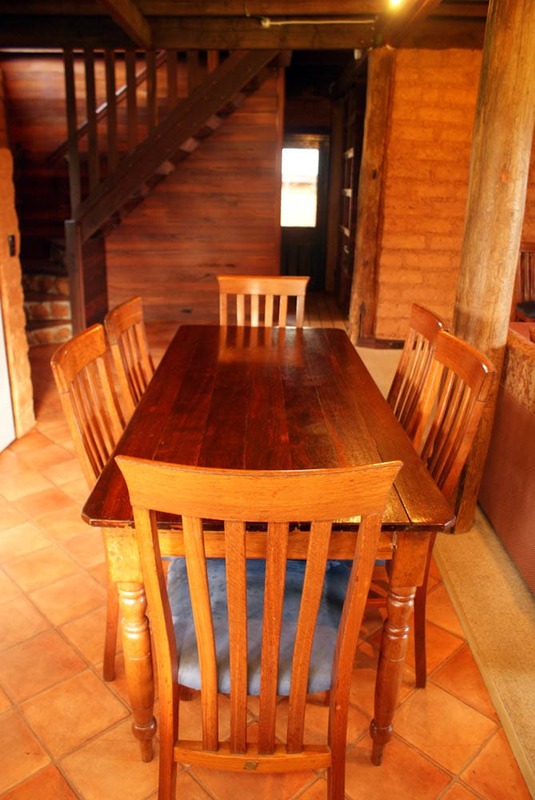 Family farm stay accommodation in Western Australia's southern forests. A fabulous and utterly unique building, this 2 storey 3 bedroom cottage is an experience in itself. Featuring a huge stone fireplace, country kitchen, deep clawfoot bath, private laundry, and verandahs all around, the Homestead takes in some of the best views in the district. Upstairs, the master bedroom has a queensize bed and features cathedral ceilings and even better views. There is plenty of room for extra fold out beds or a cot. The second bedroom has a queensize bed, and the third has two single beds. Outside in your private yard you will find a lemon tree and fantastic views. Ideal for two families, or a group of adults travelling together, the Homestead offers a unique taste of country life with all the trimmings.